Bangalore or Bengaluru, the city of gardens and lakes which is also known as the Silicon city is one of the most widely visited cities in the country. Whether on a business trip or a pleasure trip, at least a day dedicated to local sightseeing in Bangalore is a must. Just a look at the extensive array of tourist attractions proves why it is always a good idea to book 1 Day Bangalore Tour Package. Located in Karnataka, Bangalore enjoys a pleasant climate as well, which makes it an ideal place to visit throughout the year. Presenting a beautiful unification of modern luxuries and facilities with the historical grandeur and cultural vibrancy with nature in the forms of lakes and gardens adorning it. From museums, art gallery, lakes, gardens, palaces and forts, amusement parks, temples and churches to shopping markets and restaurants, the city of Bangalore caters to every interest. Whether you are on a family trip or planning a tour with your friends, travelling with your parents or taking your children for their holiday, having a day outing with colleagues or thinking about a solo travel, you will find something of your choice at Holidays DNA. 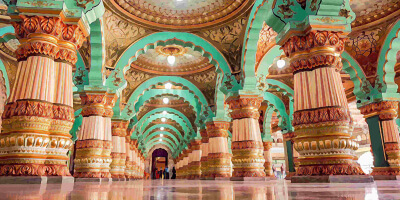 Our super curated list of 1 Day Bangalore Tour Packages are for everyone. Our listed cab vendors from Bangalore ensure that all travellers explore the city in a hustle-free way, without incurring any kind of discomfort. With so many 1 day tour packages, you can have a memorable time without forcing yourself in the tedious task of planning the tour, choosing the sightseeing places and, booking the cab, etc. In addition to this, all our cab service providers also offer customised 1 Day Bangalore Tour Packages. Guests can choose their own places to visit and get a customised tour package. For those who want to explore the city and surrounding areas with leisure, do check our Bangalore tour packages with stay and hotel for more than one day as well. Apart from wide variety and customised one day Bangalore tour packages, what set apart are the listed cab service providers who are always ready to take that extra step in order make your tour enjoyable. They ensure that trip is as perfect. Adding to this are the trusted drivers and the cab services to take you to best sightseeing places in Bangalore. Dedicated to Nandi, the ride of Lord Shiva, this temple is especially known for its magnificently huge statue of Nandi. The statue is 4.5 meter high and 6 meter wide. It has been carved out of a single granite rock. A popular fable attached to this temple is that the statue kept growing in size since its creation. So to stop it, a small iron plate has been placed on the head of Nandi. This temple was built by Kempegowda I, who was the founded of Bangalore. A must visit place for all the art lovers,Venkatappa Art Gallery boasts of more than six hundred paintings. This art gallery is home to the art works of world renowned artists like M F Hussain, Yusuf Arakkal, Hanumiah, Hariram, Venkatappa and N S Bendrem. It is located close to Vishweshwaraiah Museum, which is another place to visit while in Bengaluru. 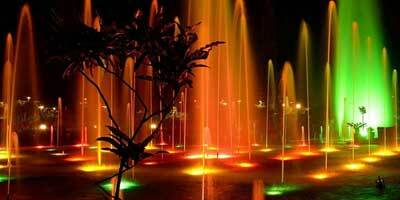 One of the most preferred place to visit with 1 Day Bangalore Tour Package is Lalbagh Gardens. Previously known as Rose and Cypress Garden, Lalbagh botanical garden now presents a captivating contrast of greenery and colours to the concreteness of the modern cities. Located in the middle of the city, this garden was the dream project of Hyder Ali while its construction was completed during the Tipu Sultan reign. With more than thousand varieties of flora, this garden is indeed a place worth visiting. As the name suggest, this park was built in 1864 by Sir Mark Cubbon who was the then viceroy of India. Cubbon Park offers its visitors an alluring landscape comprising of vast lush green lawns, more than 600 varieties of flora and ample of fresh air to fill your lungs with! Its pleasing scenic beauty attracts hordes of tourists as well as residents who come for evening and morning walks or with families for a relaxed get together. Originally built in 1878, Bangalore Palace was bought by the British Guardians of Chamarajendra Wadiyar in 1873 with his personal funds. 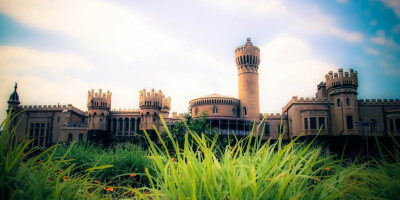 This palace is undeniably one of the most popular tourist attractions in 1 Day Bangalore Tour Package. Presenting an architectural style of Tudor Revial, its captivates visitors with its wooden carvings, impressive pillars and exquisite windows. It is also a popular venue to host major events, weddings and shows. Originally a central jail in British era where many political leaders were also jailed during emergency, it was inaugurated as Freedom Park to mark the struggle of various freedom fighters during the British rule. It now houses a water fountain, sculpture court, book museum, jail museum and a people courtyard. Originally constructed as a small chapel in the year of 1818, St. Mary’s Basilica is not only a religious site but a place for every architecture enthusiast. In was renovated in 1882 and then in 1947. During these renovations, gothic style carvings, stained glass windows were added to the original structure. The statue of Basilica was brought to the church in 1973. Such is the charm of Bangalore that even its high court building is nothing less than a tourist attraction. With a literal meaning as eighteen offices, Attara Kacheri is also called as Old Public Office. Constructed in 1868, this building has been attracting everyone with its dazzling beauty. It was turned into a high court building in the year 1956. Along with these tourist attractions, if interested you can also plan a visit to other places in Bengaluru such as Government Museum, HAL Aerospace Museum, Laser Republic, Vikasa Soudha,Vidhana Soudha, ISKCON Temple, Gavi Gangadhareshwara Temple, Dodda Ganapathi Temple, St. Mark's Cathedral, Tipu Sultan Fort, Sankey Tank, Lumbini Park, Ulsoor Lake and Jawaharlal Nehru Planetarium. To add a bit of fun to your travel, visit Innovative Film City and Wonderla Amusement and Water Park. Bannerghatta National Park is another sightseeing in place that must not be missed by any nature lover. Its rich flora and fauna is sure to take you to refreshingly different setup, taking away the tiredness of city life within a few minutes itself. Similar to our list of top cab vendors offering 1 day Bangalore tour packages, we have also created the top list for 1 day Delhi tour packages, 1 day Chennai tour packages, 1 day Kolkata tour packages, 1 day Hyderabad tour packages and 1 day Mumbai tour packages. If you have an extra day or two or just want to go further from Bangalore on your 1 day Bangalore tour packages, then you can choose an exclusive tour to places such as Devanahalli Fort (35km), Manchanabele Dam (40 km), Thippagondanahalli Reservoir (45 km), Art of Living International Centre (21km), Hesaraghatta Lake(18 km), Shivagange (58 km) and Thottikallu Falls (35 km). Hurry request a call back now to experience the best of Bangalore in 1 Day!